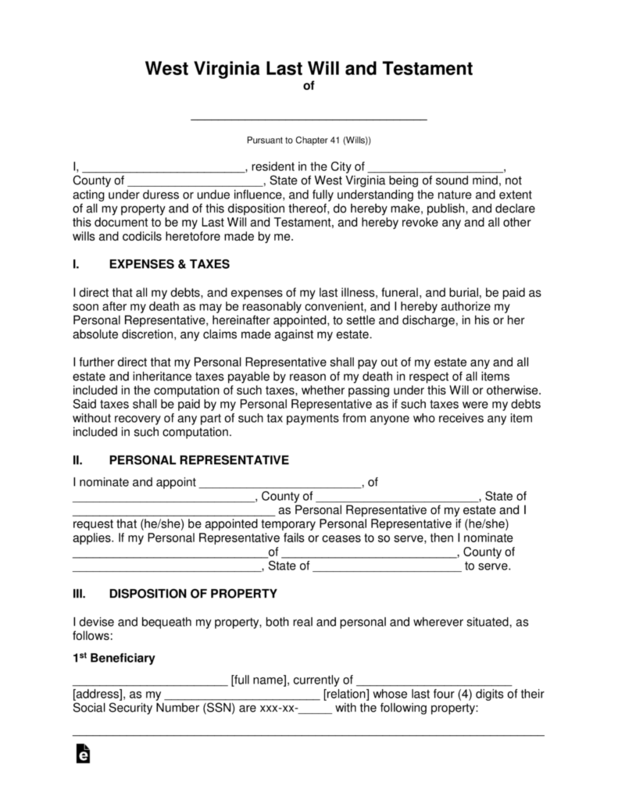 The West Virginia last will and testament is a document that is allowed by the state and set fourth by a testator to provide their wishes with regard to exactly how they may wish to see the distribution of their estate be carried out upon their death. The document will reflect the decisions of how their family continues to be cared for in their absence by proper distribution of fiduciary, real estate, personal, business and other forms of property. This same document may provide for selected organizations, educational institutions, friends and others. The document, upon completion must be witnessed and signed by two witnesses. As well, all signatures must be acknowledged by a state notary public. This document may be revised or revoked at the discretion of the testator as long as they are of sound mind to do so. Signing (Section 41-1-3) – Signed by the Testator in the presence of at least Two (2) competent witnesses, present at the same time; and such Witnesses shall subscribe the will in the presence of the Testator. 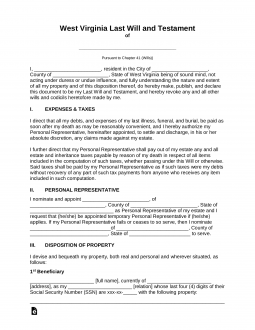 Step 7 – Notary Public –The remainder of the document, once all signatures have been witnessed, will be completed by the notary as required by law.